Bed and Breakfasts near Hammersmith City for 1 night from Tue Apr 23, 2019 to Wed Apr 24, 2019 within 25 miles, in an Average Nightly price range of £1 to £200. Visit England - 3 stars! The quiet ambience of Temple Lodge offers a peaceful haven after a busy day, a hearty continental breakfast awaits on the next! Olympia,Earls Court v. near, West End, Kew, Richmond and the Wetlands Centre: travel by tube or bus! Offering a restaurant and free WiFi access, St Paul Hotel is a stylish boutique hotel just 5 minutes' walk from Hammersmith Tube Station and Kensington Olympia Exhibition Centre. Formerly a school, this 19th century building was built by the same architect as the National History Museum. All the rooms at St Paul Hotel are elegantly decorated, and feature tea/coffee making facilities, an en suite bathroom, bathrobes and free toiletries. Other amenities include a satellite TV, a mini bar, a hairdryer and a safe. Melody, the onsite restaurant, provides a creative British menu and an extensive wine list. Guests can also enjoy informal lunches and snacks in the lounge bar, with elegant and romantic surroundings. This 4-stars hotel has an interesting story, being the base from where Winston Churchill planned the D Day Landings during the World War II, back in 1944. Both Barons Court and West Kensington Tube Stations are a 10-minute walk away. The emblematic Hyde Park and Kensington Gardens are just 10 minutes' away by bus. The chic and stylish apartments at So Sienna come with free Wi-Fi and modern kitchen facilities. Hammersmith Tube Station is a 5-minute walk away, for links to London attractions. Each So Sienna apartment is different. However, all feature an LCD TV, some have a DVD player and pure Egyptian cottons. A laundry service, shopping service and concierge can also be used. Breakfast is available upon request, for an extra charge. Via the Piccadilly Line, Hammersmith Station offers direct access to Heathrow Airport, museums at Knightsbridge, and entertainment at Leicester Square and Covent Garden. So Sienna is on the west side of Central London, about 500 metres from the HMV Hammersmith Apollo venue. Earls Court and Olympia exhibition centres are within 2 miles. Private parking is opposite the property, and is available at an additional cost per day. Welcome to the Adria Hotel a clean comfortable and affordable hotel ideally situated in the heart of Hammersmith West London. Just several minutes away from local transport services Adria is within close proximity of some of London s main attractions and is easily accessible from London s main airports. Our regularly refurbished family run hotel ensures that each of our en-suite rooms provides modern amenities such as Freeview TV an Electronic Safe a Hairdryer Tea and Coffee facilities and complimentary super-fast Wi-Fi. A warm welcome awaits you with friendly and attentive staff doing their absolute most to offer a superior service. Welcome to LUMA Concept Hotel London. It s a hotel but not as you know it. A boutique urban base that builds your stay around you it strips out what you don t need to enhance what you do and pleasantly surprises you in the process. Uncomplicated but beautiful LUMA Concept Hotel London is smart inspired yet ever-so-slightly eccentric a true original that shines a light on the traditional hotel and reveals a simple truth: it s time to do things differently. The perfect place for all your activities br / br / br / br / Aviva House Studio is a wonderful place to stay for business or pleasure. Its fantastic setting and proximity to public transport make it easily accessible while offering plenty of opportunities to escape and explore the surrounding area. br / br / Our hotel is: br / br / br / br / br / br / Easy to access by car metro and bus. br / br / Short distance from the airport ensuring quick arrivals br / br / Close to shops and sights br / br / br / br / Hammersmith is a leafy Borough on the North Bank of the River Thames. Locally 3 minutes walk you have Kings Mall Shopping Centre with numerous stores as well as a large supermarket. HMV APOLLO is a 5 minute walk away. br / br / br / br / br / br / br / br / You will find a wealth of Restaurants catering for every conceivable taste only a few minutes walk away such as Nandos Bills Byron and Wagamama. Local bars & pubs are plentiful & all within minutes walk away. br / br / br / br / br / br / br / br / To the North is Shepherds Bush with it s fabulous Westfield Shopping Mall. The largest urban shopping centre in Europe with 250 stores (including a designer Village) 50 restaurants & a multiplex cinema. Shepherds Bush Empire is a 15 minute walk or 5 minutes by tube. br / br / br / br / Olympia Exhibition is a 15 minute walk & Earls Court Exhibition is within a 5 minute tube ride. br / br / br / br / br / br / br / br / The extensive transport links (4 tube lines) make it a convenient base to explore London. Aviva Studios is only a 3 minute walk from Hammersmith Bus and Tube Station and only minutes away by underground and bus from top London attractions of Kensington South Kensington Knightsbridge as well as central London (15-20 minute ride away). br / br / br / br / br / br / br / br / If you need any more information our staff at Reception will be happy to provide you with up to date information on activities and cultural events going on during your stay. A stylish boutique hotel conveniently located near the well connected Hammersmith tube and bus station Kensington Olympia exhibition halls and Westfield shopping mall. Directly outside the hotel are the buses 9 10 and 27 each taking a scenic route to Central London s famous sites as well as Kensington Palace Harrods and Notting Hill Gate. Heathrow is just over a 20 minute drive. The building was originally St. Pauls School and was designed by Alfred Waterhouse in 1884 the architect of the Natural History Museum. Each room is unique and encompasses the original character of building with some rooms having the original fire place. The rooms are elegantly decorated yet comfortable and welcoming. Among the amenities are satellite TV a minibar and safe. St. Pauls was the location of the historic meeting of Eisenhower Montgomery and Winston Churchill to plan the D Day landings. The hotel was also the setting of the 1971 film Melody an international cult film about youth and lost love. The Brook Green Hotel is a Newly Refurbished 14 bedroom Hotel Situated in the Ideal Location between Hammersmith and Shepherds Bush. Dating back to 1886 The Brook Green Hotel still has a Brook which runs underneath the hotel to this day. Next to 4 Major Tube Lines the M4 Westfield Shopping Centre and the Hammersmith Apollo. With High Ceilings Unique Features and space the Brook Green offers Class and Comfort throughout. With our Late Night Cellar Bar to have Parties or Salsa Lessons in to our secret Garden to enjoy nature the Brook Green becomes your home away from home. room2 Hammersmith is a boutique apart-hotel offering accommodation within a 5-minute walk from Hammersmith Tube Station, Hammersmith HMV Apollo and Shepherd's Bush Empire theatres. All studios have free WiFi, a flat-screen TV, a kitchen with induction hob, microwave, kitchenware and a fridge. room2 Hammersmith is in central Hammersmith, on a pleasant tree-lined road. Hammersmith is a short Tube ride from the West End, Knightsbridge and Westfield Shopping Centre. Broadway Shopping Centre and King's Mall Shopping Centre are both around 6 minutes' walk from the property. Located in central London, the Saba Hotel London is just 5 minutes' walk from Hammersmith Tube and Bus Stations. Set over 3 Victorian-style townhouses, the hotel retains many original features and is just over 10 minutes' walk from the popular Hammersmith Apollo. With free WiFi, each compact room offers a fridge, tea and coffee making facilities, a work desk, and a flat-screen TV. The en-suite shower rooms have complimentary toiletries and a hairdryer. In the mornings, Saba Hotel London offers a continental breakfast. There are numerous eateries surrounding the property, including Indian restaurants, tapas bars, and fish and chip shops. Home to a variety of shops and supermarkets, King's Mall Shopping Centre is a 10-minute walk from the building. The 3-star Saba Hotel is just a 20-minute Tube journey from Earl's Court. The high-street shops and amenities in central London are also accessible after 20 minutes on the Central Line. A short walk from Kensington High Street and Hammersmith tube station this charming hotel offers comfortable and well-appointed rooms with free wireless internet access just outside the congestion charging zone. br / br / br / br / Each room at Golden Strand Hotel is comfortably furnished and features a modern en suite bathroom. Benefit from modern amenities including free wireless internet access. br / br / br / br / All Rooms are En-suite and furnished with a wardrobe side table and desk. br / br / All rooms have flat screen TV s br / br / Carpeted Floor br / br / br / br / Enjoy a short stroll to the tube station to easily access the rest of London or walk to the popular Kensington High Streets for a well-deserved shopping spree. In the evening take in a show at the Hammersmith Apollo or Shepherds Bush Empire both of which are within easy walking distance. There are also plenty of bars and restaurants surrounding Golden Strand. Lamington is a family-owned luxury serviced apartment provider in the heart of Hammersmith London. All apartments at Lamington - Hammersmith Serviced Apartments have undergone full refurbishment in the past number of years and offer some of the most spacious and modern serviced apartments in London. Based around core family values we value each and every guest individually and wish to surpass their expectations at every level. We offer studios and one- and two-bedroom apartments that serve as your ideal base for your short- or long-term stays in the capital whether for business or for leisure. The serviced units feature an open plan lay out and come with lounge area and fully equipped kitchen facilities with washer dryer. Amenities include TV and DVD player free Wi-Fi and welcome pack with tea coffee crisps biscuits cereal and milk. Lamington - Hammersmith Serviced Apartments is located along the quiet and prestigious tree lined streets of Victorian London so guests can enjoy the ultimate experience of living as true Londoners. With major entertainment venues award-winning restaurants and pubs world-class shopping and the natural beauty of the River Thames Hammersmith attracts tremendous interest from across the UK and Europe. All apartments are just meters from convenience stores quaint shops restaurants superb transport links and a host of entertainment activities. For live music LyricHammersmith Shepherds Bush Empire and Hammersmith Apollo are about 10 minutes on foot from the apartments. Hammersmith Station is also less than a 10-minutes walk away. Excellent london location this hotel is close to Hammersmith Apollo Portobello Road Market and Kensington Palace. Also nearby are Craven Cottage Stadium and Stamford Bridge Stadium. br / br / br / br / Comfotel Blue hotel provides tour/ticket assistance conference/meeting rooms a 24-hour front desk and concierge services. br / br / br / br / All our 17 guest rooms include complimentary TV Internet access climate control and televisions. br / br / br / br / Located Less than 10 minutes walk from Shepherd s Bush Underground Station ( both Central Line & Hammersmith & City Line) and also Hammersmith Underground Station (Piccadilly Line Disrict Line & hammersmith & City Line) all walking distance. Comfotel Blu Hotel has a 24-hour front desk. The O2 Shepherd s Bush Empire Hammersmith Apollo a music venue is less than 5 minutes walk away as well as access to Central London is only minutes away.The Location is the the key to accessibility for both getting in out and around London. br / br / br / br / If you wish to indulge in a bit of Shopping or simply wine and dine then Westfield Shopping Centre can be reached after a 10-minute journey on foot. The HMV Hammersmith Apollo an entertainment venue is less than 15 minutes walk from the Royal London Hotel. Kensington High Street s shops are also within a 15-minute walk of the hotel. br / br / br / br / Please note - check in times are from 14.00 daily. Welcome to The W14 Hotel Kensington London The W14 Hotel London is a Budget Hotel located in trendy Kensington London. The hotel spans four beautiful Victorian town houses with original features and has been given a clean contemporary look. Situated in a quiet leafy residential road close to the prestigious shops of High Street Kensington the W14 Hotel London is just a 10 minute underground ride from the sights and sounds of Central London. We offer Budget Accommodation in Kensington The W14 Hotel London has an extensive choice of Superior rooms ranging from Single Double Twin and Triple private en-suite rooms including free continental breakfast and Wi-Fi Stay at our hotel offers unbeatable value and facilities whether you are travelling for business or with family as a group or alone. Each hotel room has its own Digital security locker high quality beds and electronic touch card access making them comfortable modern and secure. safe and comfortable accommodation in London the quiet Hotel Bar is also an important part of this highly recommended budget hotel. Facilities: We offer clean and comfortable rooms and dormitories with all necessary facilities: - 24hr reception no curfew no lockout CCTV & Alarm activated Emergency Exists Free Wi-Fi to use on your laptop phone or PDA. Free Breakfast (7:30 9:30) is served in the Breakfast Room (Bread/Toasts Butter Jam Marmalade Cereals Milk Coffee Tea Hot Chocolate & Juice) Free Towels Free Bed Linen Secure Electronic Key Card Access Ironing facilities Direct links to Heathrow Victoria (from Victoria coach station) Located near Kensington Olympia and Hyde park Free Travel and Local Information Tours and Tickets available Free Luggage storage before and after your stay Check-out time: 10.30 am (yes you can leave your bags Reception upon check-out) Location Information The nearest tube stations are West Kensington and Baron s Court on the Piccadilly and District Lines. All mainline train stations including Victoria and Paddington are easily accessible from the hotel. Less than 10 minutes' walk from Shepherd's Bush Underground Station, the Royal London Hotel by Saba has a 24-hour front desk. The O2 Shepherd's Bush Empire, a music venue, is less than 5 minutes' walk away. Continental breakfasts are served in the dining room and free Wi-Fi is accessible throughout. Westfield Shopping Centre can be reached after a 10-minute journey on foot. The HMV Hammersmith Apollo, an entertainment venue, is less than 15 minutes' walk from the Royal London Hotel by Saba. Kensington High Street's shops are also within a 15-minute walk of the hotel. A flat-screen TV, a fridge, tea and coffee making facilities, toiletries and a hairdryer are included in each modern en suite room. Set in the Hammersmith and Fulham district of London, GOLDEN BY SABA offers a shared lounge. All rooms feature a flat-screen TV with cable channels and a private bathroom. The accommodation features free WiFi. At the hotel, rooms come with a desk. All rooms will provide guests with a fridge. GOLDEN BY SABA offers a continental or buffet breakfast. Speaking Arabic and Bulgarian, staff will be happy to provide guests with practical information on the area at the reception. Hammersmith Apollo is 1.4 km from the accommodation, while Olympia Exhibition Centre is 1.5 km from the property. 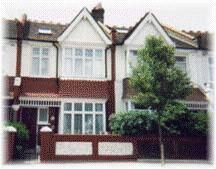 The nearest airport is London Heathrow Airport, 21 km from GOLDEN BY SABA. Situated in the heart of West London, Royal London Hotel By Saba is walking distance from Westfield Shopping Centre and the Olympia Exhibition Space. Free WiFi is accessible throughout. Royal London Hotel By Saba offers a variety of room types, with either private or shared bathroom facilities. Each room offers a TV and tea/coffee making facilities. There is also a shared lounge for guests to relax in. Breakfast is included in the room rate. The area is blessed with a variety of shops, bars and eatery options, which are located within a 10-minute walk of the property. Central Hammersmith and the Apollo theatre and music venue are 13 minutes away by public transport. Shepherd's Bush Underground and Overground Stations are an 8-minute walk from the property, and from here a Tube ride to Central London takes 15 minutes. Heathrow Airport is 45 minutes from Royal London Hotel By Saba House by public transport. The Sapphire Hotel London opened its doors in January 2012 which raises the bar with its stylish rooms all decorated in fresh neutral colours and each has a luxury italian marble private bathroom with toiletries. All rooms have a flat-screen LED TV with sky channels and tea/coffee facilities. A three star accommodation Sapphire Hotel is set in a recently refurbished historical townhouse and offers complimentary wireless Internet access throughout the property. The entire hotel is non-smoking and is accessible via an electronic keycard system. Services on offer include an airport pickup currency exchange and a concierge. Within walking distance of Hammersmith Apollo Shepherds Bush empire o2 and Kensington Olympia Sapphire Hotel London enjoys a pleasant location on an avenue whilst having excellent links into the city centre. Via the Central Line from nearby Shepherd s Bush tube station and Hammersmith Station premier attractions including Marble Arch Hyde Park Oxford Street and Piccadilly are a few minute s journey away. Europe s largest shopping mall offering 500 shops and 50 restaurants/bars is located 5 minutes walking distance from the hotel. Traditional full complimentary cooked continental breakfast are served daily at the Sapphire Hotel. There is a great range of international restaurants shops and bars just a short walk away. Stay with someone you know and experience the warmth of our friendly and well trained staff that will ensure your stay is memorable. Europe s biggest shopping centre Westfield is located 10 minutes walk from the Plaza Hotel. The Plaza Hotel is situated in Hammersmith. Two stations are located within 5 minutes walking distance. Hammersmith station (Tubes direct to Heathrow) and Shepherds Bush station (national railway to Gatwick airport). br / br / br / br / Rooms comprise of the following Single Double Twin Triple and Family Suites. There are also basic rooms available. Plaza Hotel is open 24 hours a day and offers simple rooms some of which have private bathrooms. Each room has a TV free Wi-Fi and a refrigerator (upon request) and a spacious lounge. br / br / br / br / The Plaza Hotel offers budget accommodation within minutes of central London! This value for money London Bed & Breakfast in an upbeat downtown West London location 15 minutes from the West End is a family-owned basic clean tidy hotel with functional interior design plus Sky satellite TV and tea / coffee making facilities in every room and shared bathrooms. br / br / br / br / Hospitable helpful staff and excellent tube and bus links to central London and the City plus a variety of night time options pubs cafes and value eateries to enjoy in an energetic corner of London. br / br / br / br / This affordable hotel is close to the Olympia Exhibition Centre Westfield Shopping Centre BBC studios and the O2 Shepherd s Bush Empire. br / br / br / br / Located on the North Bank of the Thames River Hammersmith has shops and a lively city feel. br / br / br / br / Plaza Hotel is located outside the London Congestion Charge Zone and is within minutes of Hammersmith and Shepherd s Bush London Underground (subway) stations. The Pearl Hotel London is a newly refurbished 3 star hotel situated in Hammersmith. Our hotel has a 24-hour front desk and modern rooms with free Wi-Fi. Tourist attractions such as Knightbridge Oxford Street and Parliament square are within 10-15 minutes by tube. The stylish rooms are decorated in fresh neutral colours and each has a luxury private bathroom with toiletries. All rooms have tea/coffee facilities and a flat-screen LED TV with sky channels. Traditional cooked continental breakfasts are served daily in the sister hotel s dining area four doors away. There is a great range of international restaurants shops and bars just a short walk away. /p The Pearl Hotel is a five-minute walk from Shepherd s Bush Underground Station and Hammersmith Underground Station. Kensington High Street is a 20-minute walk and O2 Shepherd s Bush Empire and Hammersmith Apollo are a five-minute walk away. Europe s largest shopping mall Westfield is located five minutes away from the Pearl Hotel offering 500 shops and 50 restaurants and cafes. Parking is available on side streets which is free on Saturday and Sunday. During the week it is free after 6pm till 9am. Charge may apply for other timings. It s a bright clean stylish and very comfortable studio on the first floor of the period house with a total of nine studios. Maintained to a good standard perfect for a couple or solo traveler. br / br / br / br / The studio has nice furniture and the kitchen is equipped with all the basic essentials required for your own catering needs be it a quick breakfast or a romantic dinner. br / br / br / br / Room Amenities: br / br / br / br / - Clean linen and towels provided for each guest depending on the length of stay they will be changed on a weekly basis br / br / - Free Wi-Fi internet connection br / br / - Wardrobe with hangers br / br / - Separate toilet and shower br / br / - Modern and basic kitchen br / br / br / br / Hammersmith Lifestyle Studios offers two types of rooms: standard and premium different in size but equally equipped. The Hand & Flower is a large Victorian pub that has recently been refurbished to gracefully combine a contemporary style with the traditional features you would expect from a pub that is over 100 years old. Located directly opposite Olympia Exhibition Halls and a short distance from Earls Court it is ideally situated for attending events and shows. Or should you wish to explore the rest that the Capital has to offer it is close to all public transports links. There are 8 beautifully designed individual bedrooms with luxurious bedding tea and coffee making facilities flatscreen digital TVs and free WiFi. Our recently renovated pub offers the ideal place to relax after a hard days work or sight seeing. We have a comprehensive food menu that is served all day with dishes ranging from traditional tasty classics to freshly made specials. We have a wide range of drinks to suit any occasion from traditional cask ales to wines selected from around the world. The Hand and Flower is on bus routes 9 10 27 and 28 and on the district tube line. Earls Court station is close by with links to other tube lines and Heathrow Airport. For those requiring meeting rooms or party venues there is also a function room able to accommodate 120 people or 60 seated. Set in the heart of London newly designed Simply Rooms & Suites is one of the new boutique London hotels with a smart concept near Olympia Exhibition Centre. Located only 400 metres from Kensington (Olympia) underground station and a stone s throw away from Kensington High Street we offer affordable high quality 4 accommodation. Simply Rooms & Suites offers a wide range of room types from contemporary singles to deluxe studio suites. Our hotel provides a range of luxury in room amenities including Individually controlled air-conditioning free Wi-Fi secure wired internet flat screen HD TVs and Ipod docks with our deluxe rooms offering mini kitchens. On Street parking with the cost of �2.20 per hour max 2 hours Monday to Sunday from 9 am to 8 pm. Best place for parking is Hilton Olympia Car park at Holland Road just 3 minute walk from the hotel (�35.00 a day) or Westfield shopping centre cark park 20 minute walk (�9 a day). On Saturday and Sundays parking is allowed for free on red route on Holland Road. Simply Rooms & Suites with its transparent pricing policy has been designed for the value conscious guests wanting quality accommodation. By eliminating the unnecessary extra facilities and combining the ethos of a boutique hotel with that of a budget hotel Simply Rooms & Suites offers affordable luxury and convenience. Our unique Kensington hotel is located opposite Olympia Exhibition Halls and within easy access to Earls Court which means Simply Rooms & Suites is the ideal location for attending events and shows. Should you wish to explore the rest that London has to offer we are located close to all major transport links. Kensington (Olympia) underground station and West Kensington underground station are both within a 5 minute walk. London is famous for its tourist attractions. Many of these such as the Natural History Museum The Victoria & Albert Museum The Royal Albert Hall Kensington Palace The Science Museum and Kensington Palace Gardens are all within walking distance or a short bus or tube ride away. Ideally located London s metropolitan area of West Kensington just a short walk from West Kensington tube station and close to Earl s Court and Olympia. These family-owned serviced apartments provide a perfect home from home experience and offer free Wi-Fi full self-catering facilities and an ideal West London location. Each of the 13 serviced apartments is decorated in a traditional style and provides a home from home atmosphere with full self-catering facilities and a range of modern amenities including Flat Screen TVs wit DVD players free Wi-Fi and a sound system with iPod docking station. Guests have the option to create culinary masterpieces from the comfort of the apartment. Each apartment also has a dining area ideal for a romantic dinner for two or a family feast. Located in West Kensington close to Earl s Court and Olympia the apartments are just a short walk from West Kensington and West Brompton tube stations. Located just off the A4 the apartments also have direct transport links to Heathrow International Airport by car and train. Just off Kensington High Street, Holland Inn Hotel is a 7-minute walk from Olympia Exhibition Centre. The hotel offers continental breakfasts, a 24-hour front desk and rooms with Wi-Fi access. The rooms at Holland Inn each have a private modern bathroom and a TV with satellite channels. All rooms feature a refrigerator, tea/coffee facilities and a minibar. Traditional continental breakfasts area served daily in the spacious dining room, including fresh coffee and a selection of cereals. There are plenty of restaurants just a short walk away. Situated in elegant Kensington, Holland Inn Hotel is 1.5 miles from the Natural History Museum. Westfield Shopping Centre and Shepherd's Bush are both a 15-minute walk away. Located in central London, Hammersmith One offers modern self-catering accommodation with free Wi-Fi access. With daily transport links to Heathrow Airport and the West End, Ravenscourt Park Underground Station is just 5 minutes' walk away. Featuring wooden flooring throughout, the bright one and two-bedroom apartments include sleek furniture and high-ceilings. There is an open-plan living kitchen and living area, with wide windows and a sofa bed. The fitted kitchen has a dishwasher and a microwave. Hammersmith One apartments feature a spa-style bathroom, with an ultra-modern shower, polished grey tiles, and marble double wash basins. Guests can reach Hammersmith Apollo after just 20 minutes' walk and the Stamford Bridge Stadium is 3 miles from the Hammersmith One. Set against classic Victorian architecture, the apartments are 13 miles from the O2 Arena and Heathrow Airport is 10 miles away. With a chic restaurant and chic spa area, this 4-star boutique hotel is situated in Shepherd's Bush, just a 5-minute walk from Shepherd's Bush Underground and overground stations and Westfield London shopping centre. The rooms have handmade mattresses and luxury linens. The award-winning K SPA offers a range of luxurious treatments. At an additional charge guests can relax in the herbal steam room, hydrotherapy pool or fragrant foot baths. It is also possible to cool off in the innovative snow room. The spacious rooms at K West Hotel & Spa have elegant dÃ©cor, large wardrobe and storage space, and each has a luxury bathroom with designer toiletries. Rooms also have a Smart TVs, in-room tablets, Handy smartphones and free Wi-Fi access. Studio Bar serves light snacks and creative cocktails, and has a live DJ at weekends. The stylish Studio Kitchen restaurant displays modern art, and serves contemporary cuisine in a lively setting. Private parking is available on site for a surcharge. We offer stylish boutique rooms in the heart of the Royal Borough of Kensington & Chelsea. All rooms are light and spacious with high ceilings free wi-fi nespresso and tea making facilities king size beds en-suite bathrooms and flat screen TV s. We offer a continental breakfast in the morning which is included in the room price. A short distance from Kensington Olympia High Street Kensington and Shepherd s Bush stations giving you direct access to all areas of London. Popular destinations within walking distance include High Street Kensington Olympia Exhibition Centre Royal Albert Hall Holland Park Kensington Palace and Westfield shopping centre.